Future Cloudy for the Slacker? OK… call me a hypocrite, but I had to do it. I had to stick my head in the clouds. My first foray into cloud computing… well, sort of… is my new favorite tool, Xmarks. What is Xmarks, you ask. Well, grasshopper… let me tell you all about it. As many of you know, I run numerous distributions of GNU/Linux on my desktop system and I also run Slackware/MS Win 7 on my laptop. Keeping bookmarks and other browser-related baloney synchronized between platforms and operating systems is becoming problematic for me these days. The solution? 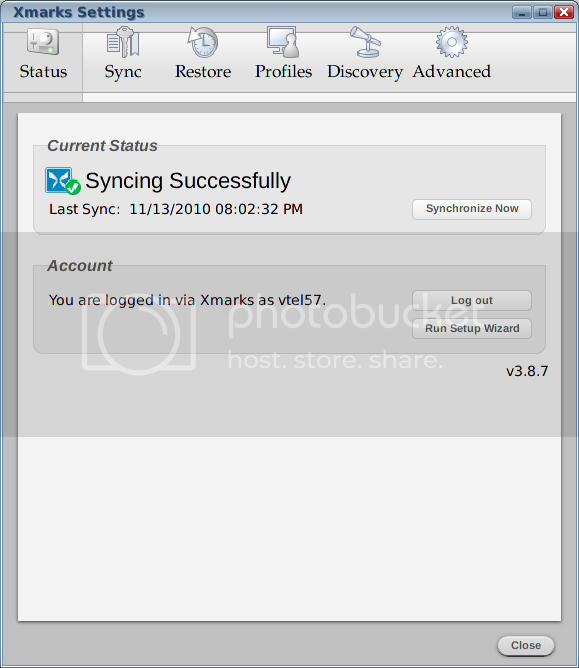 Online storage and auto-synchronizing of my browser stuff. COOL idea, huh? You may not see it for what it is, but it’s a form of that dreaded “cloud computing” that I’ve been ranting about here and there. My biggest worry about cloud computing is security. In this case, though, I’m not too worried. I’m only using the service for bookmarks storage and synchronizing. I’m not using the saved passwords or browsing history options; mainly because I don’t need them. However, that bookmark synchronizing is slicker ‘n snot on a glass doorknob. I’m here ta tell ya’! It works between FF and IE like a charm. I went this route because I found recently that IE is not capable of importing my FF bookmarks because of some silly-assed ancient name length restriction. Oh well, I got around that issue by using Xmarks. It’s easy-peasy to download, install, and set up. Figure 1 shows the Xmarks settings window that you access via Addons –> Xmarks Preferences in FF and by using the icon in the system tray in MS Windows. In Figure 2 below you can see how I added a couple buttons to my Firefox tool bar to access my bookmarks at Xmarks online or to synchronize manually. What made me choose Xmarks over Google Bookmarks or Yahoo Bookmarks was the fact that both of those services want you to install their browser toolbar to manipulate your bookmarks. I didn’t want another damned toolbar on my FF at the moment, so Xmarks was the way to go for me. I read the TOS and the Privacy stuff. There was nothing to scare me off in there. 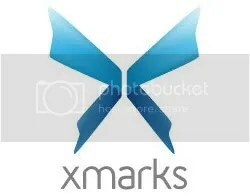 I was impressed with Xmarks dedication to protecting your data and keeping it private. I’m sure that Yahoo or Google would be just as good at husbanding your stuff, but Xmarks just seemed more sincere for some reason. Maybe it’s my ingrained aversion to mega-corps. 😉 Speaking of corporate stuff… if you’re interested, you can read more about Xmarks here. It took me about 30 minutes all told to install and set up Xmarks in Slackware (primary OS) and Debian (secondary OS) on my desktop machine; and Slackware (primary OS) and MS Win 7 (experimental OS) on my laptop. Easy-peasy… like I said. 🙂 Hey! It even works in Ice Skunk… er, I mean Ice Weasel in Debian. Whaddya’ know? And that’s how the ol’ Slacker ended up with his head in the clouds for the first time. I’m lovin’ it! Next up: I’m transferring all my tinfoil hat designs to Megaputer, Inc’s super-servers in the sky. I sure hope Steve from New Delhi is available to walk me through that one. 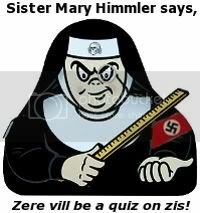 Posted by V. T. Eric Layton on 13 November 2010 in Techie Stuff and tagged bookmarks, cloud computing, Debian, firefox, IE, Linux, MS Windows, Slackware, tinfoil hat, Xmarks.